One of two peacock feather page spacers that were used in a book from 1891, this peacock feather bouquet will add a little birdy goodness to your next creative project. It’s but a simple black and white drawing with a background created mostly through the natural aging of the paper on which it was printed. It could easily be colorized in traditional peacock coloring or in the colors of your choice. 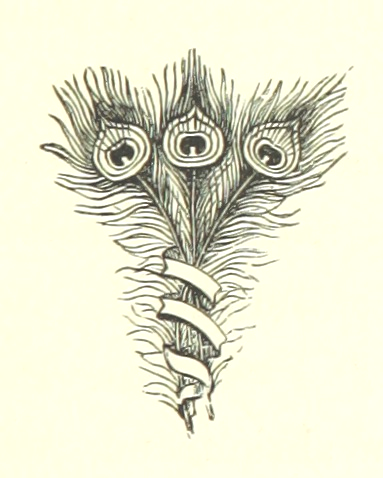 Use alone or with the matching image found here – Peacock Feathers Heading.